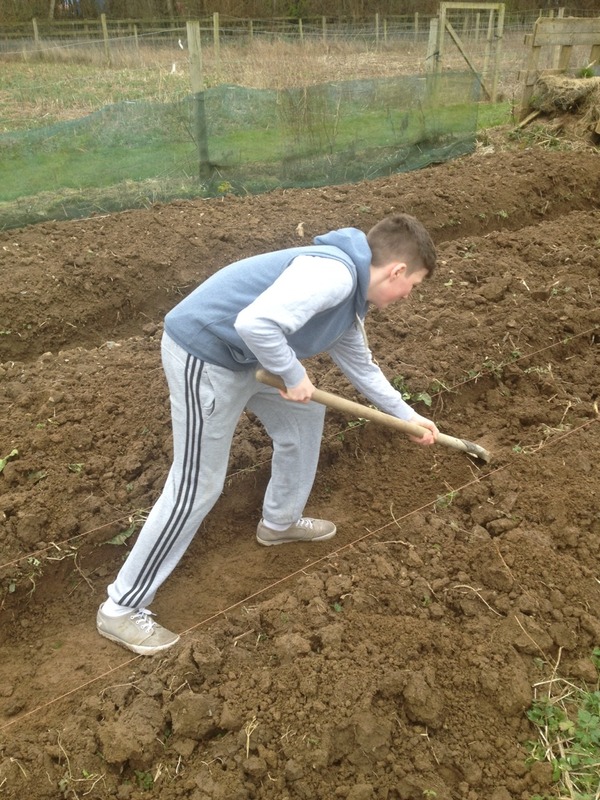 Students from 3A5 busy gardening today in aid of their CSPE project for junior cert. 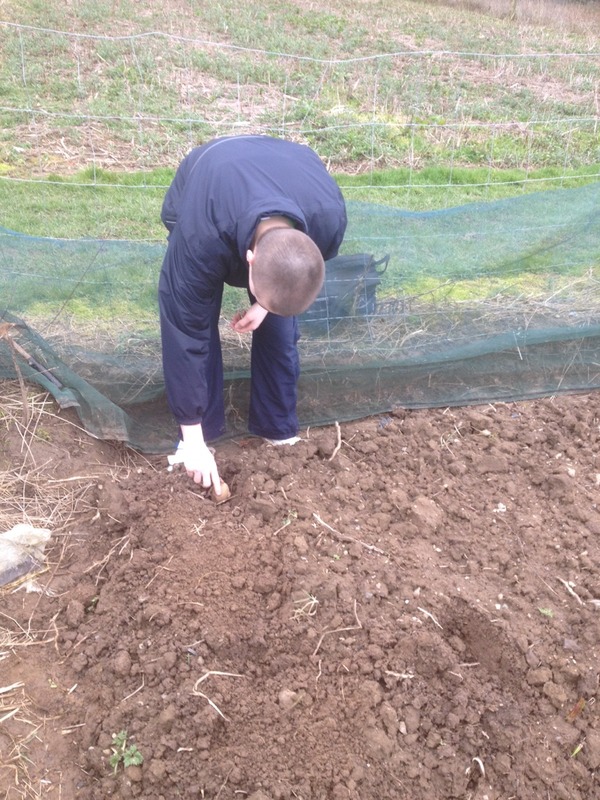 The allotment at the wonderful barn local amenity was granted to the school by Kildare Co. Council late last year. 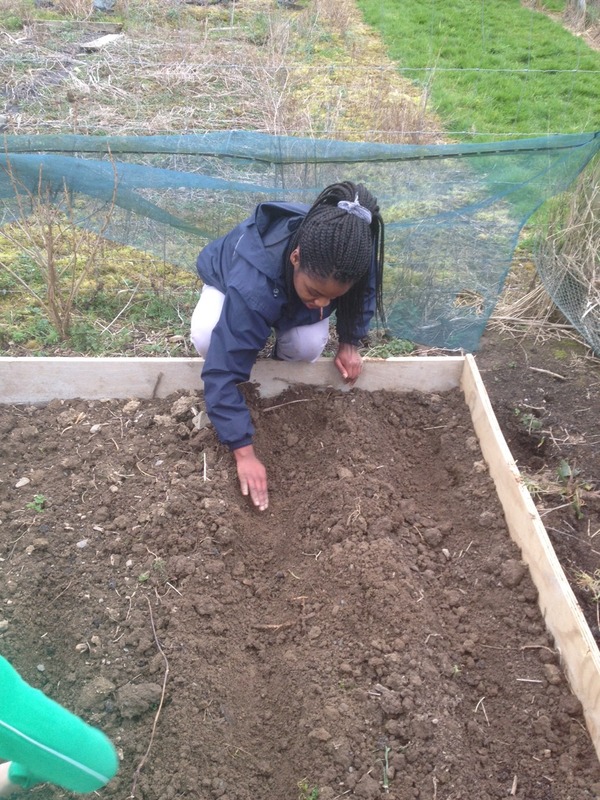 As spring has now sprung we were able to sow early seed potatoes, lettuce and spring onions in the ridges and seed boxes which we dug out. Our planting season started a number of weeks back when we potted basil, tomatoes, cress and chives indoors. The project is based on the concept of stewardship and environmental awareness. Our ‘green’ attempt aims to show how we can take measures towards reducing carbon foot printing by growing our own and not relying on importing. We aim to take better care of our surroundings and invest in sustainability. Why not try it yourself? A message from 3A5 who look forward to sampling the veggies of their labour!